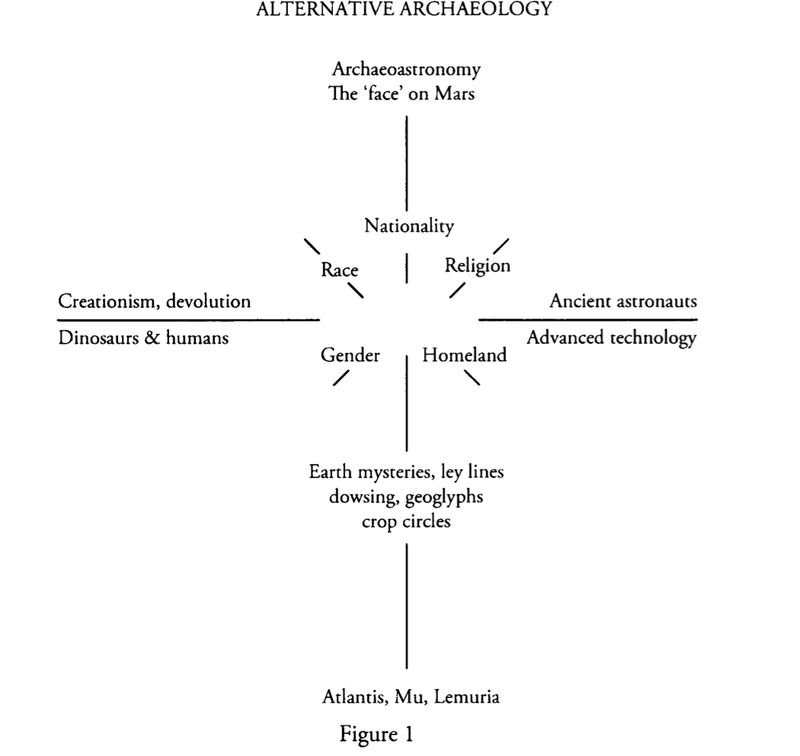 Alternative archaeology: many pasts in our present by Pia Andersson distinguishes the two approaches that archeologists have taken to the alternative interpretations of the past provided or demanded. She contrasts the derogatory vocabulary [bogus, pseudo, ...] from the vocabulary that focuses on the different stances [cult, fantasy, popular], and gives the following themes to distinguishing the academic from the non-academic world (p.127). 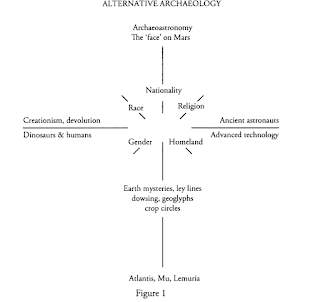 Andersson then points out (p.131) the classical topics of alternative archeology, ranging from Giza and Stonehenge to Chichen Itza and Carnac in France. Equally there is range of artefacts, so called "OOPAs", i.e. "out-of-place artefacts" (p.133) that hold the attention of alternative archeology, such as the Antikythera Mechanism.